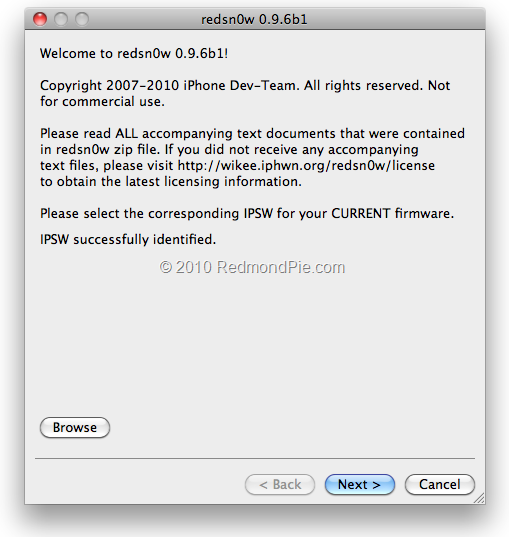 The iPhone Dev-Team has just released a new version of Redsn0w 0.9.6b1 which can jailbreak iOS 4.1 on iPhone 3G and iPod touch 2G. The Windows version needs further testing, so for now this is available only for Mac OS X x86. NOTE: If your iPhone 3G relies on Ultrasn0w unlock, stay away from Redsn0w as it updates your baseband to the latest version, making it impossible (for now) to unlock. Follow the complete instructions posted below to jailbreak iOS 4.1 on iPhone 3G and iPod touch 2G. Step 1: Download iOS 4.1 for your version of iPhone and iPod touch. Download links are posted below. Step 2: Update to this latest firmware using the IPSW file you just downloaded via iTunes 10. 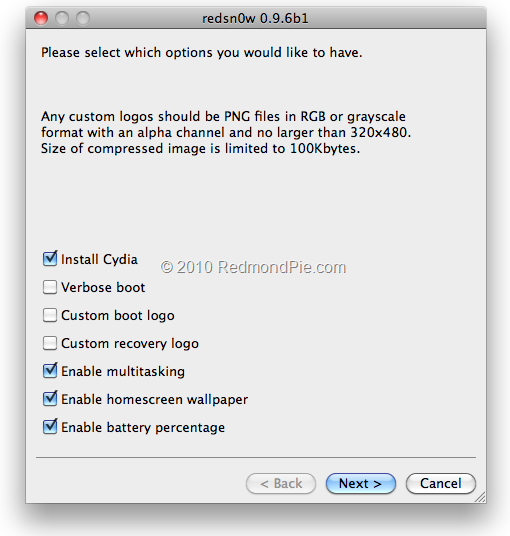 Step 3: Start Redsn0w 0.9.6b1 (download link given below) and point it to iOS 4.1 (Final Version) to proceed with the jailbreak. Step 4: Now select “Install Cydia” and click “Next”. Optionally, you can also select any other option you like. Step 6: Sit back and enjoy while redsn0w will do all the rest for you. 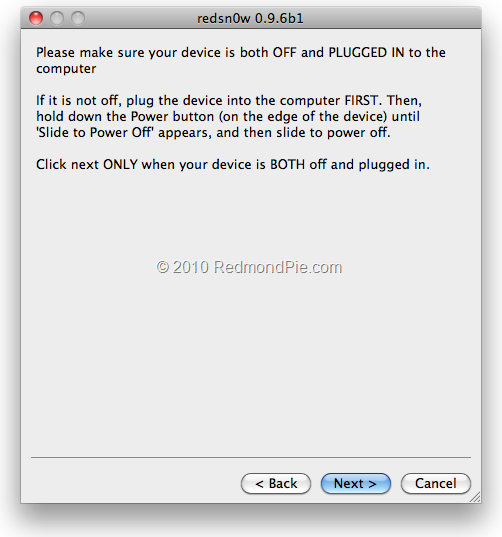 Once done, your iPhone and/or iPod touch will restart automatically and you will find it jailbroken on the latest iOS 4.1 firmware. Windows version of Redsn0w is said to follow soon. Stay tuned for that! 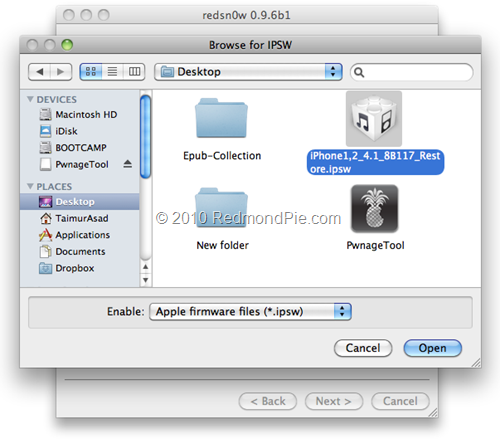 UPDATE 1: Redsn0w 0.9.6 can also jailbreak iOS 4.2 on iPhone 3G and iPod touch 2G. Proceed at your own risk only. More details can be found here.